McGee was born Debra A. McGee in Kingston upon Thames, Surrey, England, to an English mother, Lillian, and an Irish father, Patrick McGee. She has a sister, who works for a bank, and a brother, who is an accountant. When McGee was young her parents ran a corner shop. Later her father worked for a large gold manufacturing firm making rings and other jewellery. Because, from an early age, McGee enjoyed music and dressing up, her mother enrolled her in a dance school when she was seven. At 16 McGee auditioned for and won a place at the Royal Ballet School. After graduating, she joined the Iranian National Ballet in Tehran. Aged 19, she became part of the Corps de Ballet and later a soloist, but her ballet career was brought to an abrupt halt by the Islamic Revolution. She was forced to flee the country and ended up returning to the UK with little in the way of money and possessions. Seeking new work she auditioned for the Bernard Delfont Organisation, which was responsible for a number of big summer resort shows and touring productions. Delfont found her a job performing on stage with magician Paul Daniels in his 1979 summer show in Great Yarmouth. She first met Daniels on 23 May 1979 at rehearsals for the show, which were held at a church hall in London. She later joined Dougie Squires' Second Generation troupe as a dancer, which involved touring Europe with acts including ABBA, Chris de Burgh and James Last. After winter work in pantomime, McGee joined Daniels again for his 1980 summer season in Bournemouth. She then went on to perform in his London stage show It's Magic, which opened on 10 December 1980 and which, by the time it closed 14 months later, had become one of the longest running magic shows ever to play in the West End. McGee achieved national and international fame through subsequent television appearances with Daniels. After seeing her on stage in the West End, BBC producer John Fisher asked Debbie to appear in the BBC One series The Paul Daniels Magic Show, which had begun in 1979. That series continued until 1994 and regularly attracted audiences of 15 million in the UK as well as being sold to 43 countries. 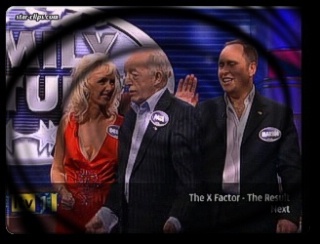 Daniels regularly referred to McGee on his TV shows as "The lovely Debbie McGee", a phrase that entered popular culture as a metaphor or stereotype for magicians' assistants. Daniels and McGee were married in April 1988. In recent years, McGee has performed some magic herself, usually on the corporate cabaret circuit.